Let our professional English speaking driver and guide take you in the style. Got someplace special in mind? Let us know. Itinerary customized to your needs and desires. For luxury and style, you can't do better than this. An unforgettable experience in Taipei. It was an amazing holiday for us! We had a really memorable tour, thanks to Kelly and the very gracious driver. Well worth the money you pay for. Well worth the money you pay for. We only had a short trip in Taipei and wanted to capture as much as we can. Base on travellers reviews, there were a lot of good sites to visit so we booked a Private Custom Tour to select the sites we wanted and go on our pace. We combined city landmarks and out-of-city sites. And though the weather was abit gloomy, our guide accommodated our request. Didn't really know what to expect as it was our first time booking with viator but was quite impress with this tour. You can't get that kind of local insight and capture that much landmarks going on your own. Our guide Amanda, was not only professional she was friendly, knowledgeable and very accommodating. Not only did we feel safe with her, you can feel the Taiwanese hospitality thru her. It was like travelling with a local friend. She also made great recommendations on other areas we should visit or things we should try whilst in Taipei. She went above and beyond our expectation to ensure we had a memorable trip. This was a fantastic tour for our long layover. The guide was phenomenal and we enjoyed everything we went to go see. We paid extra for airport pick up which was totally worth it!! Made everything super convenient and easy for us!! I would highly recommend anyone do this tour, but especially if you have limited time to see things. Our guide Steve was great. We had a list of things we wanted to see but due to the rain, we had to alter our plans. Steve made recommendations and adjustments and it still ended up being a great day. Gordon has been friendly, helpful, professional and resourceful in bringing us to the places that we wanted to visit for the day. We visited the gold museum, walked through the gold mining tunnel, tried gold panning, tried out some of the local delicacies st Jiu Fen and managed to launch a sky lantern at Shifen. We even managed to have a look at the Ying Yang sea which was near the gold museum. If we are to visit Taiwan again, we will definitely engage their service again. Excellent service. Our guide spoke very good English. We wanted to get out of the city and explore the Juifen Gold mining town area. A private car was a great way to do that. He took us where we wanted to go and suggested some other places that fitted into the day really well. We had a really great day. 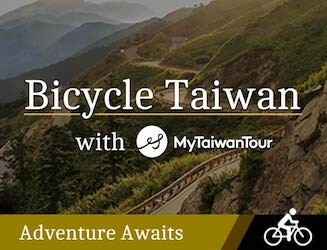 This tour was secretly one of the best values on Viator as my friend and I were picked up in a luxury vehicle and got to decide our itinerary for a day trip in Taipei at a really great price. If I had the chance to go back and do things over I would have booked this on three different days and chose different activities for each day for a unique one-on-one experience. I would definitely recommend this to others! We had a great day! Our guide, Steven, was terrific.....due to heavy traffic in the city, we chose to see the Presidential Office Building and the Chiang Kai Shek Memorial Hall then headed outside the city to Jiufen and to Pingxi, both highly recommended! Steven is very knowledgeable, friendly and his English is excellent. I joined the Private Guided Tour in the past Lunar New Year. My tour guide was Michael Wu. My family and I had enjoyed the tour very much. Michael had scheduled a no. of good destinations for us, and we especially like the experience of launching Sky Lantern at Shifen and the sightseeing at Beitou. “Great Day!” My tour of Taipei was a wonderful 9 hr day of not to be missed sites. Our driver & guide were friendly & very knowledgable. There were just 2 of us on the tour which made it very personalized. Don't miss the stinky tofu! “Best part of our trip!” We were a group of 6 friends in our mid-twenties traveling to Taiwan for a fun summer trip. We booked this tour for 2 separate days because all of the attractions we wanted to visit were pretty far and public transportation would be pretty inconvenient. It was very easy to book the tour online and they were very accommodating. We chose a few attractions that we wanted to visit, and they promptly emailed back with further details and suggestions. Kelly was our tour guide for both days. She was amazing! Her English was excellent. I believe she majored in history, so she was very informative during the tour. We were very comfortable with her and felt like she was one of our friends. Along the way, she would tell us a little about the country. She would let us know her suggestions for places to eat and visit and we were able to change the itinerary around due to the hot weather. She had so much energy and was so much fun even in the hot, humid, and rainy weather. And each of our tours were 8 hours long! Overall, we were very pleased with this tour company. We were nervous at first that we would not be able to understand our tour guide, but Kelly was so great! We had a fun time and we wouldn't hesitate to book again. “Private tour - excellent” We had two days on our honeymoon in Taipei, and we spent one of those days on a private tour with Jett. He was EXCELLENT! So incredibly knowledgeable about Taiwanese history and culture, easy to engage with, flexible, and fun. It was my birthday and the second day of our honeymoon the day of our tour, and our guide thoughtfully brought us tea. My husband and I enjoyed our time exploring and learning about Taipei - and we also enjoyed our time talking with our tour guide. I would never hesitate to recommend a private tour through this company. Excellent experience. Jett made all the difference in our trip to Taiwan. Our tour was one of my favorite parts of the entire honeymoon. Private Custom Tour with MyTaiwanTour. Can't wait to arrange another tour at MyTaiwanTour! I arranged a city tour for my foreign guest from United States. Our schedules changed even on the day of the trip. Micheal was very nice to adjust his time and the tour. We really enjoyed the trip. Michael knew a lot about the city. We not only talked about the sightseeing but also something about the society and political issues. I've also learned much from the trip even though I already lived in Taipei for 15 years. Thanks for Michael's generous hosting and MyTaiwanTour. It's a great experience, and I can't wait to arrange another tour at MyTaiwanTour! We wouldn't hesitate to book again. We were a group of 6 friends in our mid-twenties traveling to Taiwan for a fun summer trip. We booked this tour for 2 separate days because all of the attractions we wanted to visit were pretty far and public transportation would be pretty inconvenient. It was very easy to book the tour online and they were very accommodating. We chose a few attractions that we wanted to visit, and they promptly emailed back with further details and suggestions. Kelly was our tour guide for both days. She was amazing! Her English was excellent. I believe she majored in history, so she was very informative during the tour. We were very comfortable with her and felt like she was one of our friends. Along the way, she would tell us a little about the country. She would let us know her suggestions for places to eat and visit and we were able to change the itinerary around due to the hot weather. She had so much energy and was so much fun even in the hot, humid, and rainy weather. And each of our tours were 8 hours long! Overall, we were very pleased with this tour company. We were nervous at first that we would not be able to understand our tour guide, but Kelly was so great! We had a fun time and we wouldn't hesitate to book again. I organized a private customized tour of Taipei for a group of 22 cruisers. I communicated via email with Ms. Anke Wang and prepayment was required via credit card. She was very helpful throughout and quick to respond. On the day of the tour, our guides and bus were promptly waiting for us to exit the ship. Our tour guide was Fiona, and she was extremely sweet, perky, cheerful, and eager to please. She gave us a lot of information, answered questions, and even awarded small prizes for those that answered her questions correctly. Fiona took us to try some Bubble Tea and to buy a famous artist's work even though these weren't originally scheduled on our tour. Everyone truly enjoyed her and her knowledge of Taiwan. It was wonderful tour and I highly recommend the company to others. We had slightly different requirements (and places to visit) and we went on two full day customised tours, one to Houtong/Shifen area and the other to Yehliu/Keelung, with Tina. Service prior to booking (by Julie) was quick and informative. We were informed of a closure (by a third party organisation (Ju Ming museum)- not MTT's fault at all) ahead of time and we were delighted at Tina's recommendations for alternatives (we opted for a short detour to Yangmingshan - fabulous scenery and cool crisp air). Tina was great - we got along very well and she explained places and events in an interesting manner. We were rather sad to see her go at the end of our 2nd day tour. If you want a mix of the usual tourist spots plus some off the track places (do some research on what you would like), i would fully recommend MTT - ask them to customise a tour for you. We were unable to go to Wulai this time round (due to typhoon damage) and when we return on our next trip, we will definitely ask MTT to bring us there. 355 people have browsed this in the last week.